Enjoy reading and share 3 famous quotes about Best Moments With Friends with everyone. 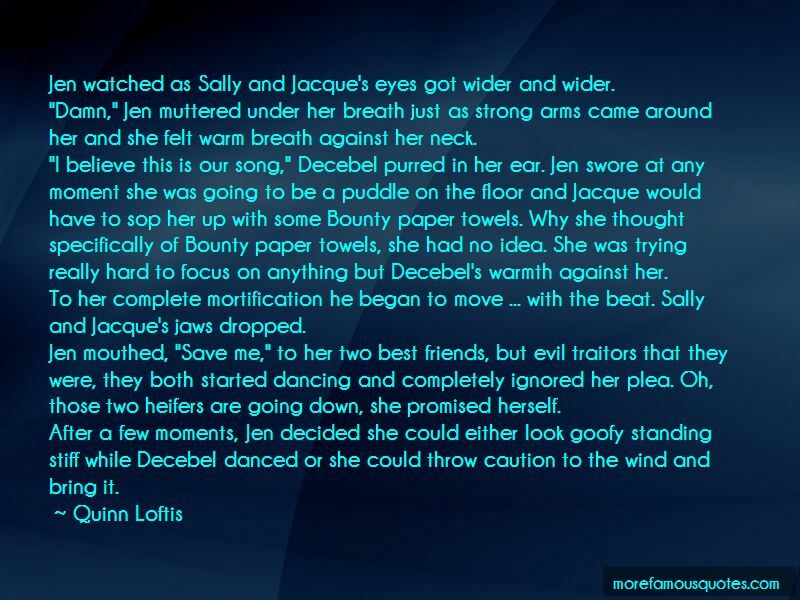 “Jen watched as Sally and Jacque's eyes got wider and wider. "Damn," Jen muttered under her breath just as strong arms came around her and she felt warm breath against her neck. "I believe this is our song," Decebel purred in her ear. Jen swore at any moment she was going to be a puddle on the floor and Jacque would have to sop her up with some Bounty paper towels. Why she thought specifically of Bounty paper towels, she had no idea. She was trying really hard to focus on anything but Decebel's warmth against her. To her complete mortification he began to move ... with the beat. Sally and Jacque's jaws dropped. Jen mouthed, "Save me," to her two best friends, but evil traitors that they were, they both started dancing and completely ignored her plea. Oh, those two heifers are going down, she promised herself. 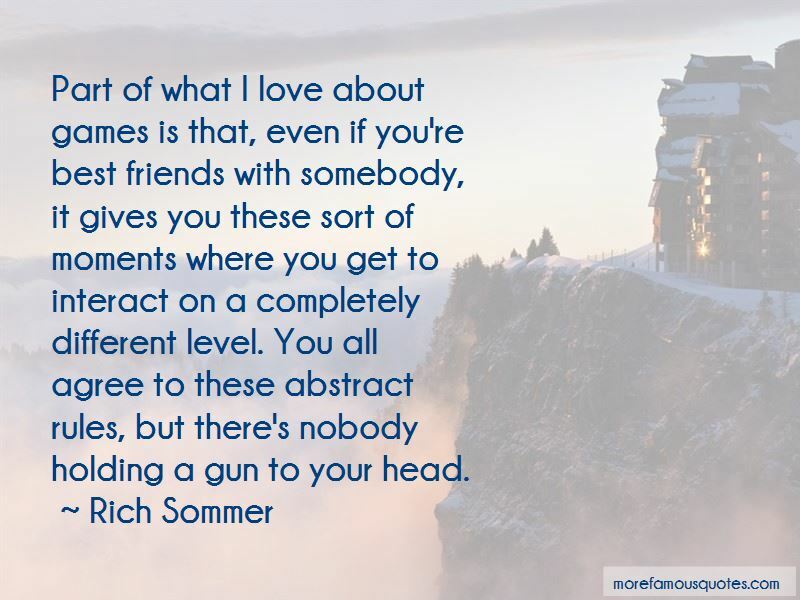 Want to see more pictures of Best Moments With Friends quotes? 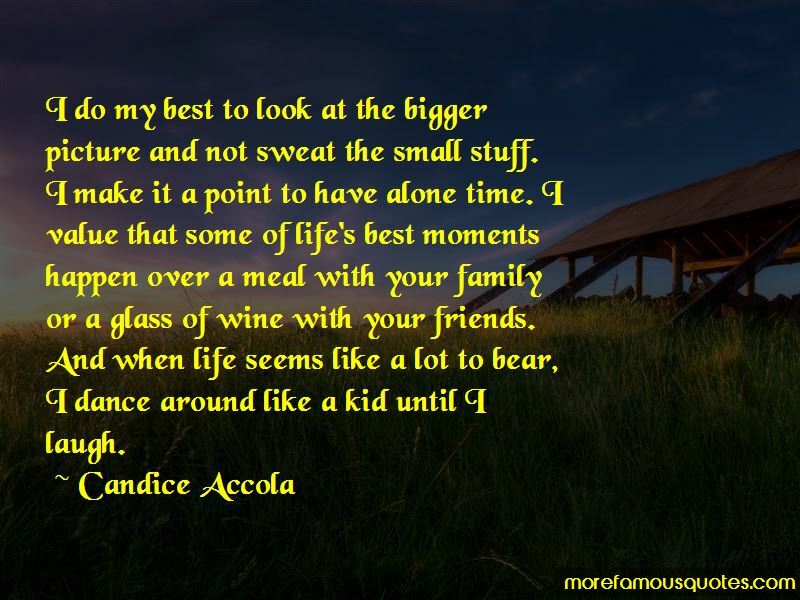 Click on image of Best Moments With Friends quotes to view full size.